Skeletons discovered last year in London were victims of the Black Death, according to new research announced yesterday. Furthermore, archaeologists believe that have found an emergency burial ground created in 1348 for victim of the pandemic. In March 2013 twenty-five skeletons were uncovered in London’s Charterhouse Square in Farringdon as part of the Crossrail project. Researchers examined the skeletons’ teeth and found traces of the DNA of the Yersinia pestis bacterium which was responsible for the Black Death plague. The also did radio carbon-14 dating tests, which shows that the skeletons were buried at two different times – the first during the initial outbreak of the Black Death in 1348-50, followed by a later period dating from around the 1430s. Archaeologists observed the different layers of burials during excavation. Archaeologist Jay Carver, who is leading the research, explained that the discovery “has revealed an extraordinary amount of information allowing us to solve a 660 year mystery. This discovery is a hugely important step forward in documenting and understanding Europe’s most devastating pandemic. 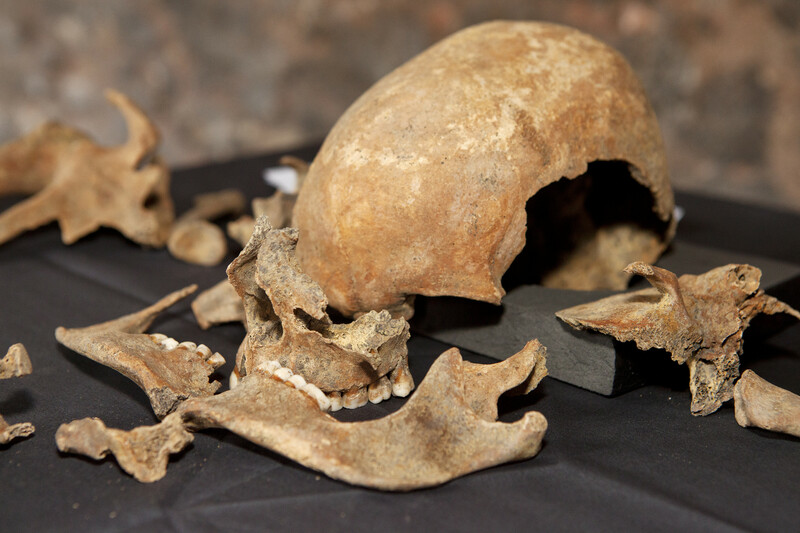 Historical sources told us that thousands of burials of Black Death victims were made in the 14th Century in the area that is now modern day Farringdon, but until Crossrail’s discovery, archaeologists had been unable to confirm the story. Ancient DNA work is complex and still in development but the results do confirm the presence of the deadly plague bacterium preserved in the teeth. 40% of the those tested grew up outside of London possibly as far north as Scotland – showing that 14th Century London attracted people from across Britain just as it does today. One individual had become a vegetarian later in life which is something a Carthusian monk would have done during the 14th Century. Research is consistent with the burial ground being used by poorer Londoners. High rate of back damage and strain indicating heavy manual labour. Historical records suggest tens of thousands of people were buried in this emergency cemetery. In a bid to understand just how many people are buried there, Crossrail approached the University of Keele to undertake a forensic geophysics survey, a science usually used to locate mass graves and murder victims. Initial results suggest possible burials extend across Charterhouse Square and a possible building foundation, a likely chapel, in the middle of the square. This is a new application for this type of science and a further Charterhouse Square dig in July of this year will seek to confirm the geophysics results.